Is NVMe over Fabrics replacing iSCSI? Storage networks grew in popularity thanks to Fibre Channel technology in the late 1990s. Then, iSCSI came about to circumvent the costs of FC. We stand on the brink of the next stage of storage networking: the world is ready for NVMe over Fabrics. 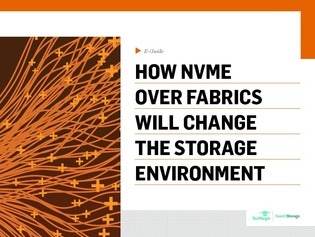 Read this e-guide to explore how NVMe and NVMe over Fabrics came about to provide the access speeds new flash arrays demanded, as well as gain a deeper look into how NVMe may supplant iSCSI and Fibre Channel, and the options you have to implement this technology in your own array.